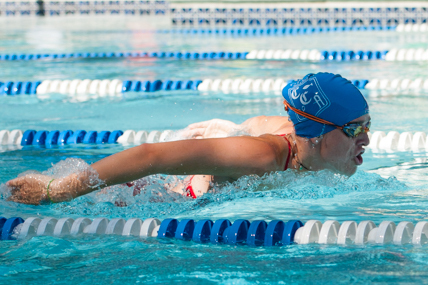 Sign up for group lessons is through TeamUnify— the same platform used for Swim and Dive Team signup. Please follow these links, create a new account as needed, and simply choose the Lessons and the Sessions you desire as you register instead of registering for one of the teams! They will not be prorated for absences. For Private Lessons ($25-35/half-hour lesson), please contact the Swim Desk, Scott Alverson or reach out to swimchair@crestmoor.org. Swim lessons are for kids ages 3 and up— brand new-beginners, or competitive swimmers on the team! Your child will learn swim strokes, how to float, blowing bubbles under water, breathing and overall swim safety. Divers will be placed in sessions based on ability. Swimmers will be divided into groups based on their abilities. No prorated costs for missed days.